And this is why dating sites are so cool. Social psychologists know that what people say and what they do have little empirical connection. 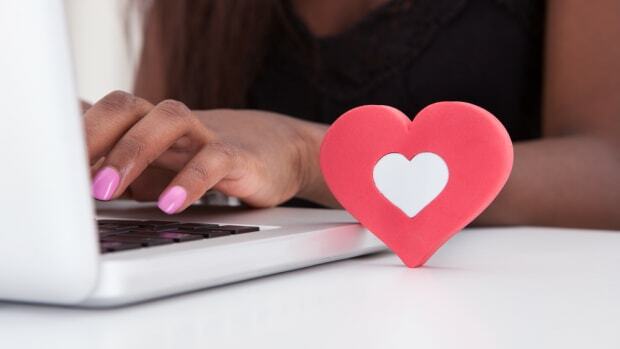 Dating sites capture what we do, and play it back for us. They expose who we are, who we want, and, of course, who we don’t want. 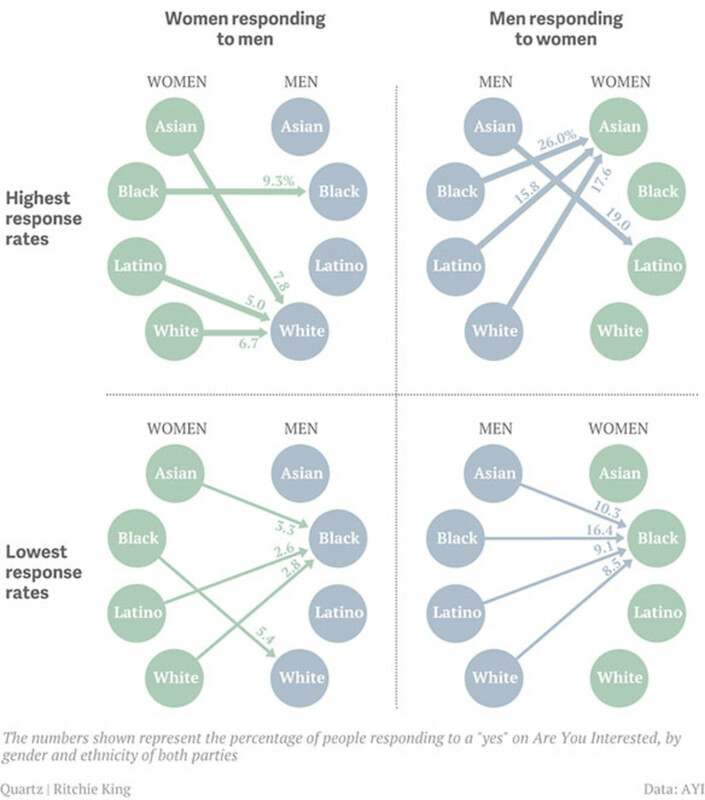 As shown by Quartz, “we” fetishize Asian women while devaluing blacks. 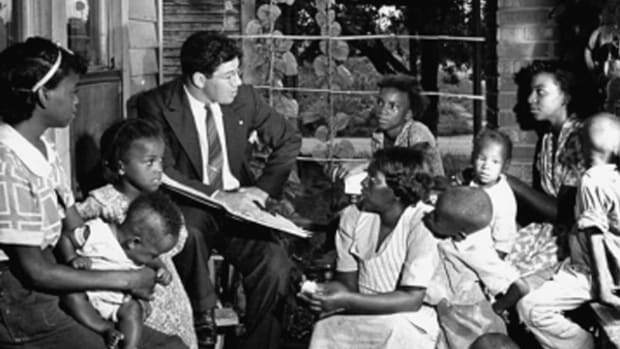 With a schism between what people say and what they do—between what they say and what they unconsciously think—surveys of racial attitudes are always already quite limited. People can say whatever they want—that race doesn’t matter, that they don’t see color—but when it comes to selecting a partner, and the selection criteria are formalized through profiles and response decisions, we, as individuals and a society, can no longer hide from ourselves. The numbers blare back at us, forcing us to prosume uncomfortable cultural and identity meanings both personally and collectively. 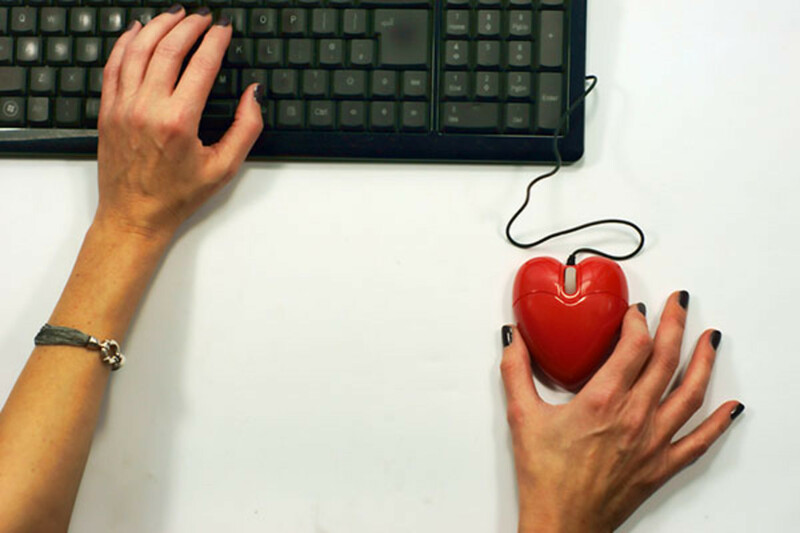 Indeed, before anyone has answered anything, the architecture of online dating sites say a lot. Namely, by defining what can be preferences at all, they tell us which characteristics are the ones about which we are likely to care, and about which we should care. Both the user data and the presence of racial identification and preference in the first place are revealing, demolishing arguments about colorblindness and post-racial culture. 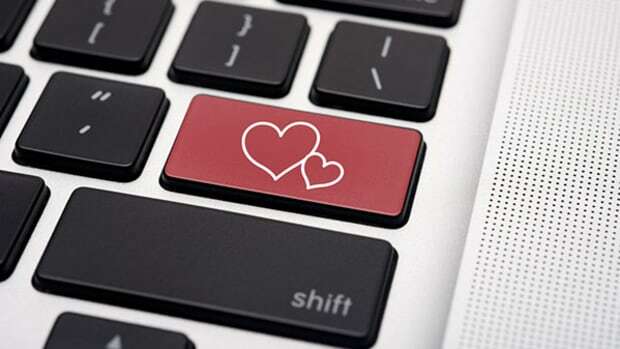 People who use dating sites are choosing matches based on criteria that are highly correlated with political preferences, and social scientists fear that will go a long way toward making us less tolerant citizens.